“I need a new planner.” It’s not true, but I keep telling myself that it is. Right now, I’m using a small binder to carry with me and a normal-sized binder to keep reference info. Now that I’m rather largely pregnant, I don’t carry more than my wallet and the small binder. The bigger binder gets left in the car a lot, unless I’m sitting in a waiting room somewhere– then I get it out and pay bills, plan menus, etc. Honestly, even when I’m using the bigger binder, I still leave it in the car and just take what I need out of it. I want a better system. I need a better system. I end up moving stuff from the big binder to the smaller to make it more “handy”, then my stuff is all over the place or cramped in my tiny binder. I like the A5 size binder – because it is really easy to make your own pages, but it’s half the size of a standard binder. There’s enough room to write, but it doesn’t require a tote bag to carry it around. It seems to be a nice hybrid of what I’m using now. And, of course, I want a purple one. It has to be pretty or I won’t use it regularly. This is my dream binder. 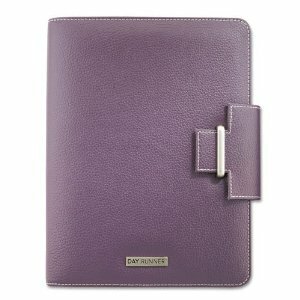 The Filofax A5 Finchley in Imperial Purple. 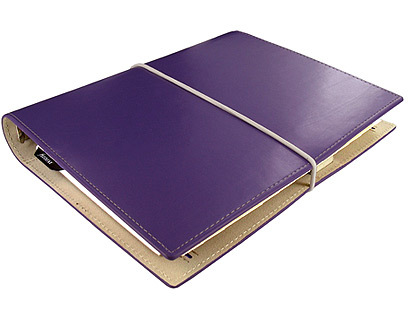 It’s the bigger, purple version of what I use as my small binder. The leather is so soft and luxurious. And, of course, it’s purple. But, it’s ridiculously expensive and it’s not available in the US –so, as much as I love it, I won’t pay to have it shipped from Italy. Both are, of course, purple. Both have credit card pockets. Both have a notepad spot in the back. Both have a closure of some sort. –doesn’t have a “secure” closure (it seems like the tab would easily slide open if I stuffed the binder) My mom confirms that the sliding tab stays shut and even allows for the binder to be stuffed fuller than a snap closure would. 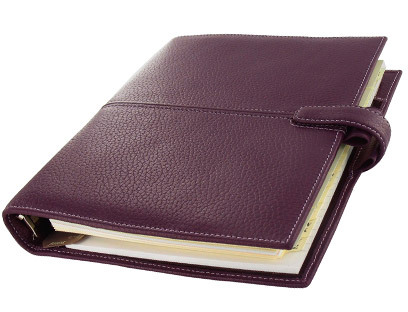 -has a secure closure that would hold lose papers – even on the outside cover of the binder (ie. shopping lists). I can find them for around the same price. 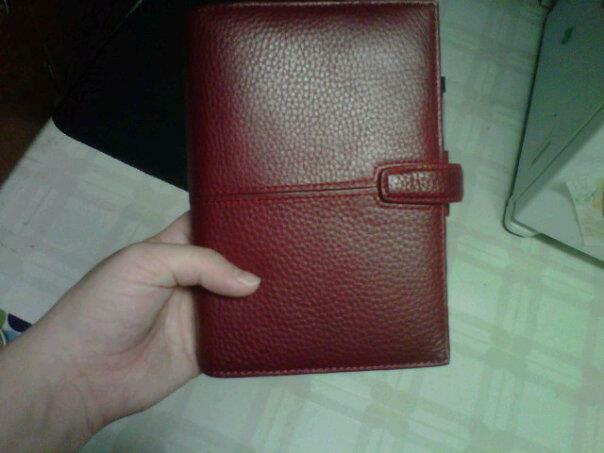 The Filofax seems to run a bit more expensive most of the time, unless a good deal appears on eBay. 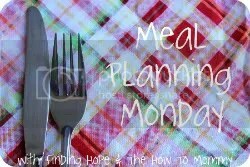 Last week I found out that I have gestational diabetes. Unfortunately, most of the recipes I had planned for the rest of the month are out of the question… chicken parmesan, general tso’s with rice, bruschetta chicken, carbonara, scampi — so much pasta!! Breakfast: Instead of Pop-Tarts all around, the boys eat Pop-Tarts and I eat two scrambled eggs with half a piece of toast. Lunch: Hubby still takes leftovers, but I’m eating salads with cubed chicken. Snacks: Apple or banana with a spoonful of peanut butter. Baby carrots with ranch dressing. Dinners: This is where I am lost. Marinated chicken breast… and I’m out of ideas 😦 Last night we had Little Caesar’s personal pizzas– no one objected to pizza and it was the perfect amount of carbs for my dinner. Tonight I am planning steaks. Just a steak for me, with some veggies maybe, but steak and fried potatoes for hubby. I’ll report back on what I come up with for the rest of the week. Ideas much appreciated. Friday: Chuck E. Cheese outting or dinner with family Much needed date night with my hubby! !